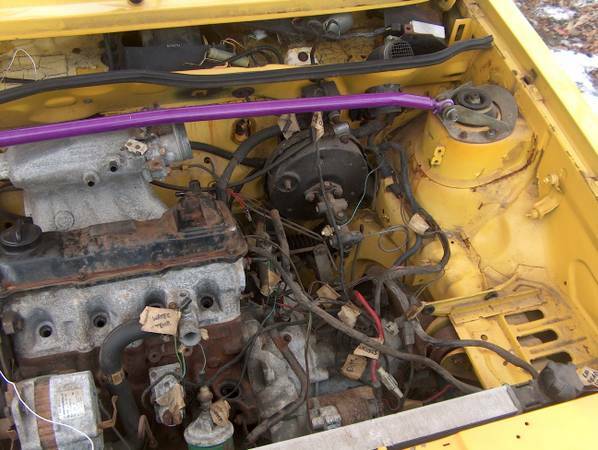 This car is definitely a project, but its a cool project. 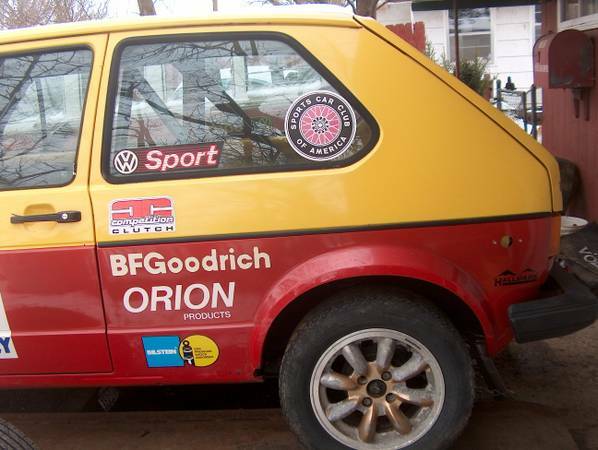 Partly because its a vintage rally car now but mostly because its a cool looking ’76 Golf. 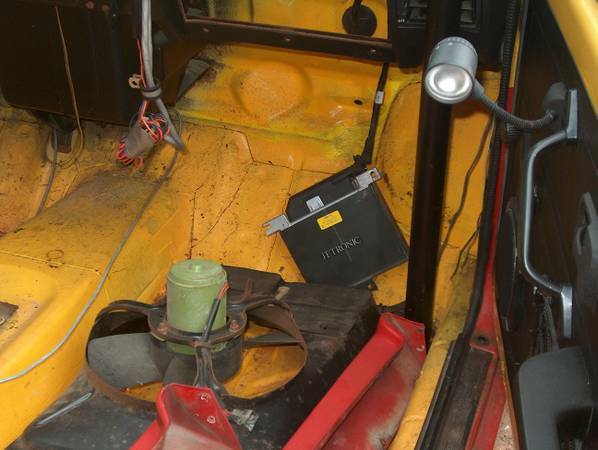 The interior is stripped and fitted with a super cool old school rally computer(not really a computer but you get the idea). 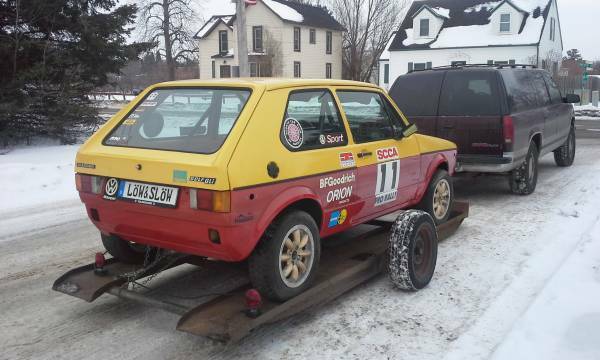 It’s fitted with a roll cage but that design is no longer legal for rally today. It looks like it comes with some wheel arch flares which could be really cool too. 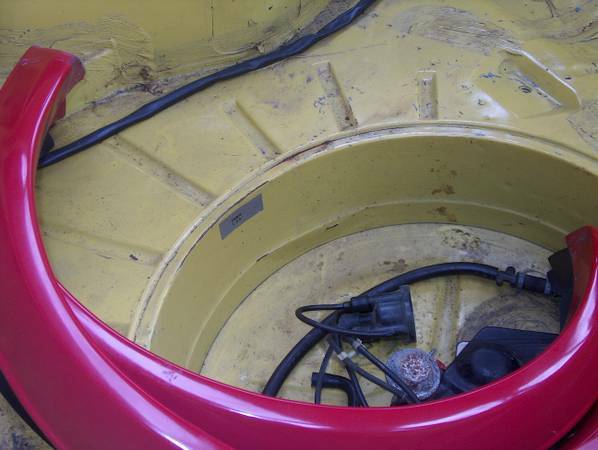 At least I think thats what the red strips are in the back hatch area of the car. There is the issue of no title but its not that hard to apply for a new one while you work on the car. It doesn’t say anything about the trailer which is kind of random and cool looking too. The other issue is the engine. Apparently its all there but its in pieces. 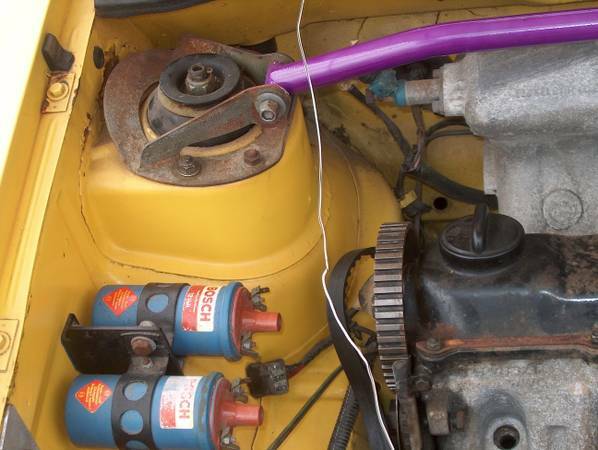 The car also has dual coil packs which are a smart add to any rally car for reliability. I doubt they were both hooked up at once, probably just had the input wires on a switch and then you manually switch the output to the distributer deal – but just a guess. The good news is that VW motors don’t cost very much. The body looks pretty good and those look like minilite wheels which is a good thing as well. 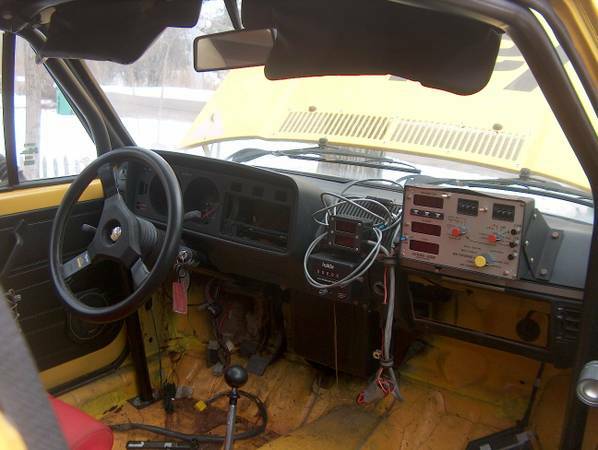 Again the chassis looks good and is probably crazy light making for a good platform to start a rally car. 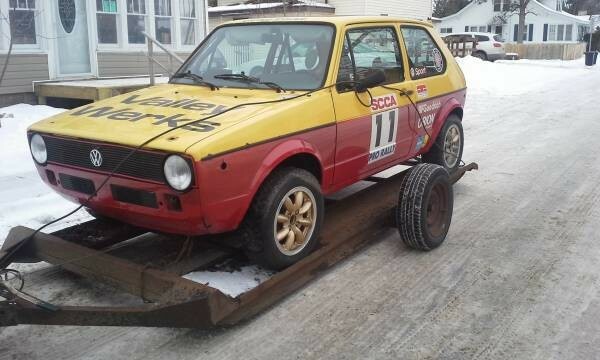 Here’s the actual Craigs list ad from Minneapolis, MN. This Offroad 2002 is the original BMW X2!